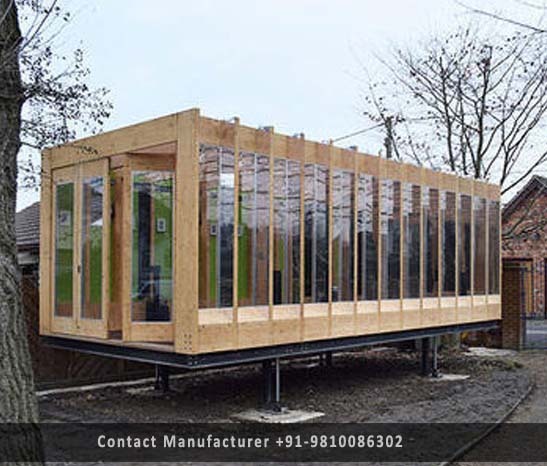 Liftable Cabin Manufacturer in Delhi, Liftable Cabin Supplier in Delhi, Liftable Cabin in Delhi. Liftable cabins give you a ready to move in solution to all your construction needs. With its unique design & technology, DTH turns out to be the largest manufacturer & supplier of insulated Lift able cabins which can be used for various applications like container offices, portable cabins, bunkhouses, movable cabins, mobile shelters, portable toilets etc. These Lift able are designed to complement facilities or provide a modern look. These cabins are the most convenient & optimal solutions, where the use of such a cabin is frequent because it can be easily lifted and shifted to another place. DTH Lift able cabins are designed & developed on the basis of ISO specifications & user-friendly conditions for end use keeping in mind the structural stability, earthquake resistant, weather resistant, leak resistant & faultless operation under extreme climatic condition. There is no compromise on specification either: the flexibility, the load-bearing capacity of the cabin. The side walls & ceiling of the cabins are made up of insulated PUF/EPS panels which make them best suited to the hot region as well as cold region too. E-Pack Lift able cabins give you a ready to move in solution to all your construction needs.